Excitement. Anticipation. Joy. These were the looks on the faces of small children as they walked through the doors of our Day Early Learning centers on August 3. Their moms and dads shared these feelings. So did their teachers. This was the first day of school. This first day might have been delayed a year or so, but these families were scholarship recipients of a new preschool program available to families in Indianapolis. Over 1,500 children were selected for the program. To these families, early childhood education was a gift. They won the lottery played by over 5,000 families who applied for this program. While it will make a tremendous impact – thanks to the Indianapolis government and generosity of business leaders – it won’t meet the needs of all children who will lack the social and academic skills required in to be successful in school and life. Study after study shows that early childhood education, when done right, can change the trajectory of a child’s life that could otherwise be doomed for social problems, academic challenges and school failure. It has value for all children, but there is even a greater return on the investment the economically-disadvantaged. If early childhood education is important for your kids and my kids, shouldn’t it be available to all kids? Is it really something that should be limited to families who can afford it, or those who win the preschool lottery? Gratitude. This was the look on the faces of families on the first day of preschool. These families are grateful for the gift of a chance at future success for their precious children. 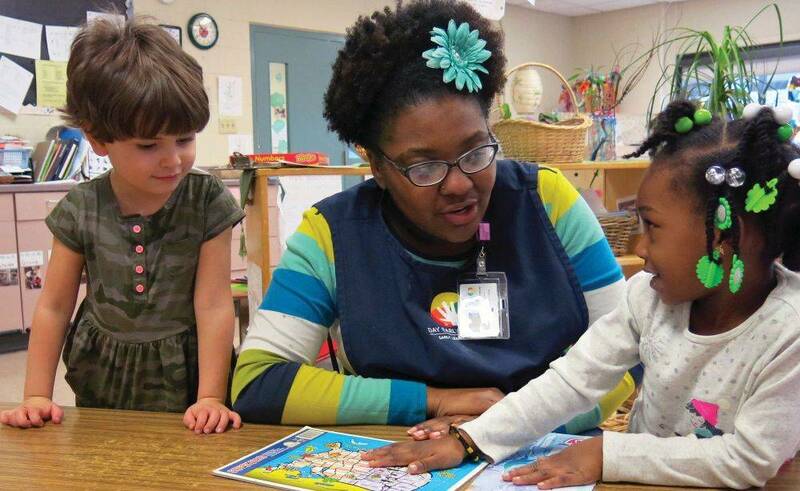 Early childhood education is a gift that every child deserves. Ted has worked on behalf of young children and their families for 18 years. Maple earned his bachelor’s degree in Elementary Education from the University of Indianapolis, a master’s degree in Elementary Education from Butler University, and his Ph.D. in Early Childhood Education from Ball State University. He began his career in education as a kindergarten and first grade teacher in Pike Township. Following his time in the public schools, he served as Director of the Early Childhood Program at St. Mary’s Child Center, where he led the nationally accredited early childhood program for 200 at-risk preschoolers at two locations in Indianapolis. Ted came to Early Learning Indiana from United Way of Central Indiana, where he led their education priority with a focus on early childhood and school-age initiatives. In 2005, Maple was selected as United Way’s Director of Success By 6. For more than eight years, he crafted United Way’s early childhood agenda including programs, policy advocacy, and community engagement. In 2012, he was promoted to Director of Education. He became President and CEO of Early Learning Indiana in July 2013.